Banks are trying to get as much money as possible for their dumped asset. They are often even stubborn about their prices. I have personally worked for several banks while they have been listing their homes in Utah County. The banks are very aggressive about getting the highest price for the homes. Buying a Bank Foreclosure in Provo Utah is a good idea if you understand the dynamics of a bank foreclosure. When buyers watch infomercials that exaggerate bank foreclosures or read about the increase of bank foreclosure filings, many assume that banks are desperate. Many buyers think that banks will do anything to decrease the available bank foreclosures. Some buyers think they will allow the buyer get the bank foreclosure for less than 50% of its value. This is not the case. In fact, many banks hold on to the properties in anticipation of values increasing. Why Would a Provo Bank Foreclosure Appear Cheap? You can usually buy a bank foreclosure in Provo for less than its original loan balance. However, it doesn’t mean that the bank will actually sell the home for less than its market value. The loan value and the market values are completely different. The price will reflect the neighborhood of the bank foreclosure and the homes around it. Bank Foreclosures in Provo Utah tend to need more work that your typical home. A buyer that is handy and able to make repairs is a good candidate for purchasing a bank foreclosure in Provo Utah. If you plan to sub out all the work a bank foreclosure may not be an ideal purchase for you. If you watch the Wasatch Front Regional MLS carefully for a home you will find a good deal. Some of the bargains and cheap bank foreclosures in Provo Utah are slow to get listed on the MLS. One good site to keep an eye on is HUDhomestore.com. This site shows all the HUD homes that are coming for sale. I noticed that they typically show up here a few days before they hit the MLS. If you catch a bank foreclosure in Provo Utah on the HUD website before it hits the MLS you may be the only bidder. Make sure you find an approved HUD representative to help you buy a HUD home. Paul Teasdale of Team Teasdale Realty is a registered HUD agent and is authorized to place online bids on these homes. Interested buyers can find notices of auctions in local Provo newspapers. There are also several websites that post information on auctions. 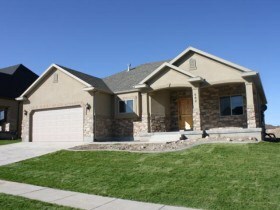 Sites like BuyProvoHomes.com has listings of numerous bank foreclosures in Provo Utah. Buyers buy the home “as is”. Buyers pay cash at the public auction. The auctions are usually held downtown Provo on the court steps. Some buyers hire a title company to do preliminaries before bidding. They search for liens like delinquent HOA dues or superior loans or taxes because those things come with the home when it is sold. I have heard of some buyers buying homes for cash and later discovering large liens that need to be paid. If you buy from an auction be careful. Team Teasdale Realty and their Real Estate Agents specialize in selling REO properties in the Provo area. Team Teasdale Realty has sold many Provo Bank Repo over the years. A good share of REO houses are decrepit. Many sit empty for months before they are sold, and they end up in such bad shape that they are ineligible for mortgages. Investors often buy these REOs with cash, fix them up and sell them, just like the house flippers of the boom years. Believe it or not it is still possible to flip a home in Provo and make money. This will take patience and skill to get a home way under value that is worth your time to flip. One way to eliminate competition is to contact banks in Provo directly. More often than not, banks are willing to give the bank foreclosures at a lower price if the buyer buys more than one. Many Provo banks have a list of foreclosures that are available for purchase. Zions bank has a section on their website of homes for sale. If you are looking for listings of foreclosures in Provo Utah you can check out www.BuyProvoHomes.com for the Provo bank foreclosures available. There are numerous listings that would help you get the home you want. Team Teasdale Realty specializes in helping buyers find Provo bank foreclosures. Moving to Provo, Utah can be a big task and it would be wise if you seek help on matters that pose problems as you execute your plan. One of the best ways to do this is to seek a Provo Utah Realtor who could give you facts about the different neighborhoods and schools within the city. There are many Realtors around Provo but you have to look for someone who is trusted in the area.